With our annual summer monsoonal flow, we get wonderful sunsets here in Los Angeles. 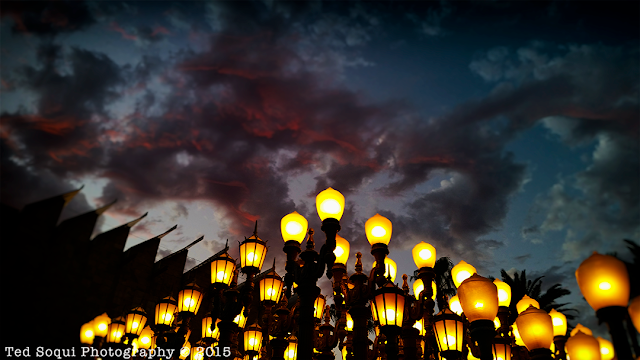 Chris Burden's "Urban Light" installation at LACMA providing the perfect place to watch our skies from. Labels: Chris Burden, LACMA, Wilshire Blvd.